But will it actually make a difference? 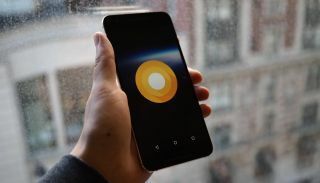 Google’s new Project Treble is set to speed up the time it takes for your phone to get access to Android O, the upcoming release that’s now confirmed for Summer. Traditionally, if you buy a phone that’s not made by Google, you run the risk of waiting weeks, months, or even years for it to be updated to the latest and greatest operating system available. This changes that, or so Google says, with Treble being its “biggest change yet to low-level system architecture.” In a nutshell, Google’s work here is to make it easier for manufacturers to push the new software that you so desire to your phone, cutting down on the time and money requirements that were previously necessary. Posted in the Android developers blog, the big difference that will help speed things along for your preferred device maker is that Google is pushing for phones released moving forward to feature vendor implementation, part of the greater Android architecture, that won’t need to be updated with each new OS release. According to the post, it’s the interface that gives developers access to “hardware-specific features of Android.” With these changes in place, manufacturers will have far fewer things to rework with the next major update. Fragmentation is one of the bullet points that iPhone users frequently use to jab at Android users. And it’s a fair point. Four months following the release of Android Marshmallow, well over 90% of Android users still didn’t have access to the software update. While that number has surely dropped, it goes to show that there’s something not quite right with Google’s rollout process. Just ahead of Google IO 2017, it’s really encouraging to see the company rolling out big changes to its overall release cycle. Fingers crossed, but Android O could be the operating system that changes everything for Google moving forward.